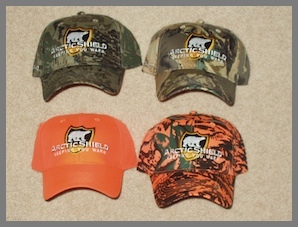 Arctic Shields Hunting Cap represents the most technologically advanced cold weather hunting gear in the hunting industry. This 6 panel cap features a full color embroidered ArcticShield logo. Featuring slide buckle closure, stiff brim with stitching detail and made with the quality and care you have come to expect from Arctic Shield products.